Home › Digital Songbooks › Stars - Digital Songbook feat. "Stars" & "Jesse"
Stars - Digital Songbook feat. "Stars" & "Jesse"
All the songs on the Stars album! Personally supervised by Janis, each transcription has been checked by her for accuracy and ease of playing. 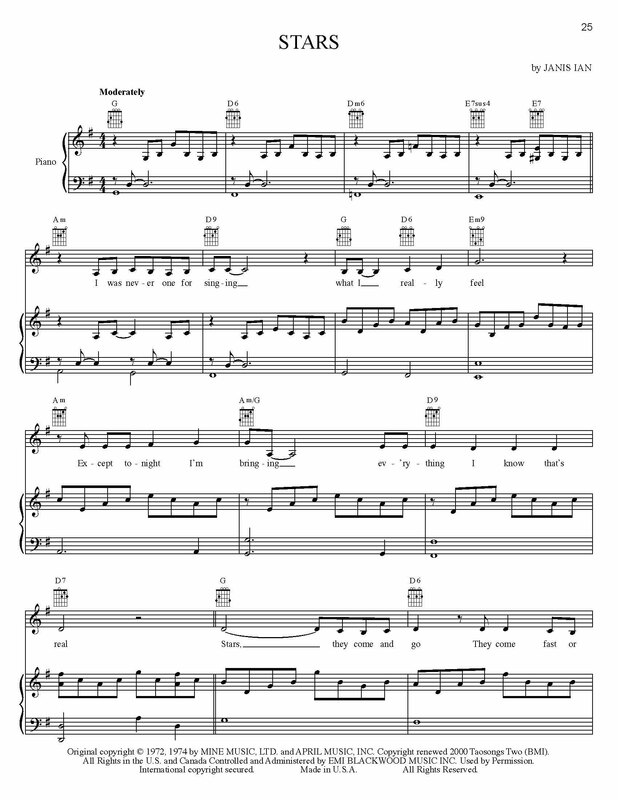 This songbook is delivered in Adobe PDF format. You will need Adobe Reader or Adobe Acrobat to view it.